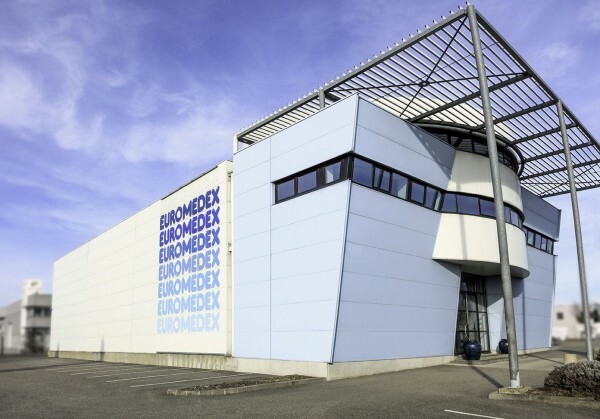 Headquartered in Strasbourg (France), EUROMEDEX was established in 1984 as an International Pharmaceutical and Scientific Wholesaler. International Pharmaceutical Wholesaler : EUROMEDEX International Distribution has more than 200 000 drugs, medical devices, cosmetics and food supplements available for sale on the international market. Daily, on request, EUROMEDEX provides them worldwide. Pharmaceutical Export Development : EUROMEDEX Export Development has its own representative offices located in Eastern Europe, Central Asia and Caucasus Countries. Closely with Marketing Authorization Holders, 120 high skilled EUROMEDEX people are carrying out initial market research, regulatory affairs, promotion, pharmacovigilance, export from France and distribution on the field. Pharmacovigilance : EUROMEDEX Safety Department proposes to partners a customized and outsourced solution, from collection of individual case safety reports to transmission to competent authorities. Clinical Trials Logistic : EUROMEDEX Clinical Trial Logistic proposes a tailored service to CROs and clinical trials promotors. EUROMEDEX takes charge of all clinical trials logistic steps. Life Science Products : EUROMEDEX Life Science Products is a distributor of high quality reagents for research use. Working closely with a number of innovative manufacturers, EUROMEDEX offers a wide range of products in Molecular and Cell Biology, Immunology and Genetics.